So far Support has created 21 blog entries. While writing a report is part and parcel of office life, if you are unfamiliar with the process it can seem like quite a daunting task, particularly if you are in a new position. Even if you have been compiling reports for a significant period of your career, it is always worth while to take the time to fine tune your skills and look at your writing approach from a new angle. PAI’s Report writing seminar provided attendees with essential report writing skills and gave them practical guidance on how to prepare reports that are structured, effective and clearly understandable. Perfecting your website is more important than ever! If you are tasked with managing your organisations online content, PAI’s Writing for the Web seminar gives you the essential tips and tricks that you need to make sure your website is working successfully, and is accessible for readers and clients. Chances are that within your role your work is proofread, or that from time to time you proofread your colleagues’ work as well. Proofreading is highly important as there are plenty of things that spellcheck just doesn’t pick up on! This course provided attendees with a refresher on the grammatical and spelling problems that we all make and guidance on proofreading best practice. By acquiring proofreading skills you can ensure that your organisation's written content is of the highest professional standard. Have your ever been tasked with taking minutes at a meeting but found you didn’t quite capture all of the essential information? PAI’s minute taking workshop gives delegates the opportunity to improve and strengthen their minute taking skills to ensure that they are employing the best methods to successfully record every meeting they attend. If you are interested in Writing Skills you may also be interested in our Editing Skills workshop. Taking place on 5 December, our Editing Skills Workshop will provide attendees with the editing skills they need to ensure their organisations written material is highly professional and error free. 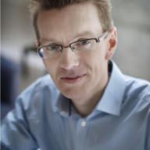 eInvoicing Update – Just Under 6 Months and Counting! 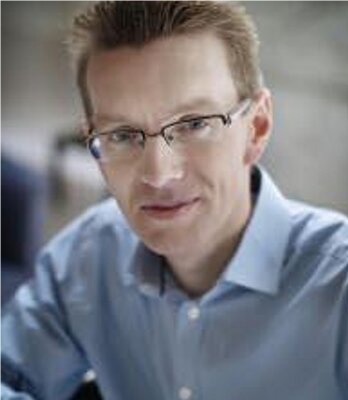 With less than six months to go to the 18 April, 2019 deadline, by which central Government public bodies need to be able to accept and process eInvoices in accordance with the European Directive and national eInvoicing approach, eInvoicing is now at the centre of digital transformation in public procurement across Europe. This article provides an update on recent developments. Cater for those looking to achieve basic compliance as well as those looking for more integrated solutions to realise longer term benefits. The Framework has therefore been designed with multiple lots, in order to address the differing needs of the respective shared service/ co-ordinating body facilities as well as individual public bodies. Currently in its final stages of review, the Framework is scheduled to be available in early 2019 and has been designed to minimise timeframes for central contracting authorities and contracting entities accessing the services needed to be complaint by April 2019. It is intended that the transposition of the eInvoicing Directive into Irish legislation, expected in advance of the April 2019, will include an option for sub-central contracting authorities and contracting entities to postpone the compliance deadline until April 2020. It is a matter for individual public bodies to determine whether the central or sub-central deadline applies to them, in regard to the eInvoicing Directive. In advance of the Framework it is crucial for public bodies to plan for compliance and to look into reaping the wider eInvoicing benefits. Public bodies should start analysing their existing invoice processing environment, to be ready to draw down the relevant services and solutions when the time comes. eInvoicing Ireland has produced a worksheet as a prompt for public bodies to start considering some of these questions. The eInvoicing Directive has created a real stimulus for suppliers and buyers in public procurement across Europe to move forward together and improve how businesses transact with the public sector in Ireland and Europe. A co-ordinating body facility refers to a set of managed administrative and/ or IT services for invoice processing that are co-ordinated at a commercial and/ or operational level by a particular body on behalf of a group of bodies, typically within a common segment of the public sector (e.g. The LGMA provides co-ordinating body facilities in relation to local and regional authorities). In the first of these blogs, I highlighted what seemed to me to be two of the major omissions in The Data Sharing and Governance Bill, as published: The lack of a clear and unambiguous statement of what is meant by Data Sharing, and how it will, in principle, be implemented; and a preliminarily section providing the Statement of Principles that guide and underlie the Bill. The first is the Authorisation of public sector individuals to empower them to access elements of the personal data stored by the Public Sector. I presume that not every employee (whether full time, part time, or temporary), and not every contractor, will have access to all the data stored! What are the principles and rules that guide these authorisations: authorisation by individual; by function/role; by seniority; by specific tasks; etc.? It seems to me self-evident that authorisation at the data element, or specific data related query level, is required, and that these authorisations must be carefully created, managed, maintained, and revoked when required. The second is the Authentication of the public sector individuals and their assigned authorisation. Each and every access to personal data elements by public sector individuals must be authenticated. What identity management system will be used to reliably and securely identify each individual? I presume that some public sector staff services identifier will be used, and secured with a pin, and biometrically, and with multi-factor authentication (I consider typical on-line e-mail/password systems to be inadequate). I certainly do not want unauthorised, unauthenticated individuals accessing my personal data, or accessing or querying any element of my data that they are not specifically authorised to access. 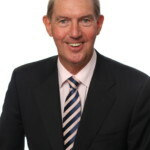 I don’t expect the Bill to specify the authorisation and authentication systems that will be used, but I do expect that the Bill would categorically state that there will be personal public sector identities and authorisation and authentication management systems, and would provide guidelines, and would state how these systems will be governed, and overseen in practice. Without these, the Bill is dangerously flawed. Whatever identifier system is used for the 300,000 plus public sector employees, it is also self-evident to me that these identities must also be valid to access their own personal data through the planned Public Services Portal. Having multiple identity systems makes no sense to me. 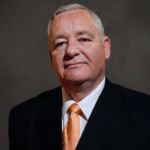 Chairman and/or non-executive director of a small number of Irish technology-based companies that address international markets. 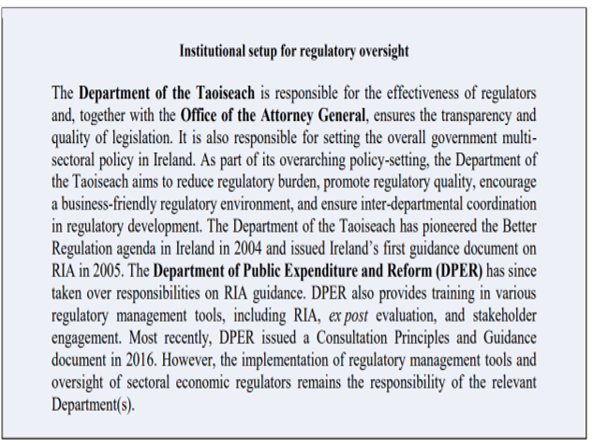 Member of the Open Data Governance Board of the Department of Public Expenditure & Reform. 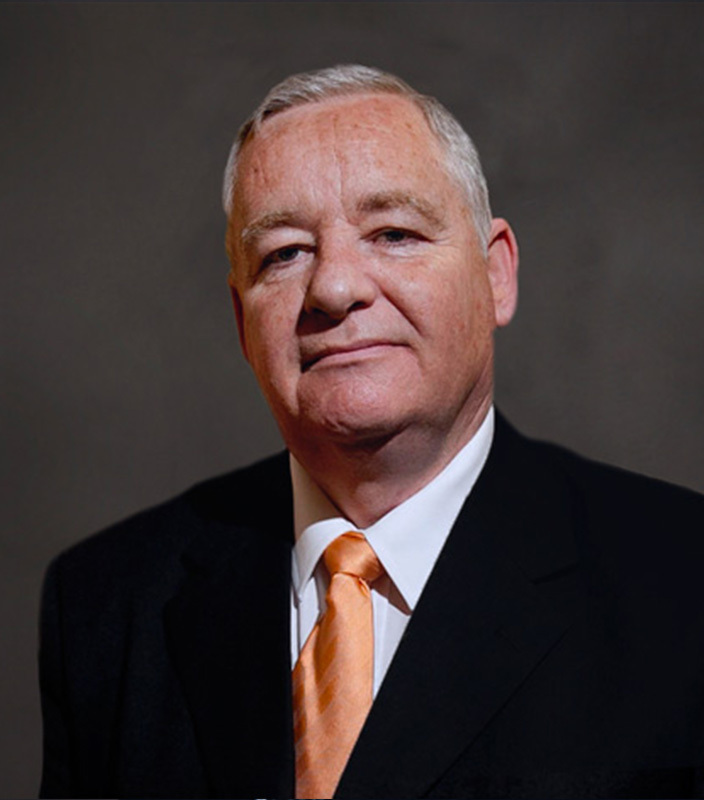 Chairman of the Board of Governors of the Royal Irish Academy of Music. Served (2007-10) on the Board of Directors of the Internet Corporation for Assigned Names and Numbers (ICANN, ICANN.org), which is responsible for the coordination of the technical identifiers of the global Internet. 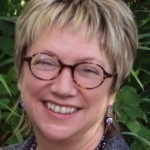 Two top tips for effective business writing – Think about the why and the who! Effective writing can be a vital tool for communication, both inside and outside an organisation. Too often, though, communications are unclear and unfocused – and so fail to fulfil their potential. Successful writing involves planning – no matter what you’re writing. Before you start, it’s vital to consider two things: your objectives and your audience. Why are you writing? What is the main aim? You probably want to inform – but what else do you want to do? Do you also want to persuade? Influence attitudes or behaviour? Make a proposal? Explain, justify or clarify? Request action or information? Whatever you’re writing, decide what you’re setting out to achieve. It’ll help to focus your mind on specific objectives instead of writing to simply set out information. It will also give you a benchmark when you come to reviewing, so you can assess if you’ve accomplished what you set out to. Who are you writing for? How many different groups of readers do you have? You need to plan and write with your specific readers in mind. You then need to adapt your writing style, content, structure and language (and even layout) to ensure your document will meet readers’ needs and help you to achieve your objectives. For example, IT experts reading a business case for purchasing new software would expect technical specs, jargon, tables and highly detailed information. So that’s what goes into the report. But if you’re writing for a wide readership, different groups of readers might have varying needs, concerns and levels of understanding. For instance, safety guidelines for train drivers might be read by drivers, managers, HR, regulatory bodies, trades unions and the media. An effective approach is to identify the most important group of readers and to write for them. In this case, if drivers are your primary audience, you could create an easy-to-read version with lots of visuals or infographics. The other target readers will also be able to use this – with the added benefit that they can see how clearly information is being provided to train drivers. At the reviewing stage, go back to your objectives and target audiences. Check that what you have written will actually achieve its objectives and reach its target audiences! Sarah Marriott is a highly experienced trainer and former journalist who specialises in delivering Writing Skills courses for the public and private sectors. Sarah has worked as a feature writer and sub-editor at The Irish Times. She has also been involved in training Irish Times editorial staff. She is a former lecturer on the MA in Journalism at Dublin Institute of Technology and is the author of Common Errors in Written English. The implementation of Directive 2014/55/EU on e-invoicing in public procurement creates an obligation on all public sector bodies to be able to receive and process invoices electronically. The implementation of this directive should not be seen as an end in itself, but an opportunity to streamline AP processes and deliver cost savings and efficiencies in public procurement. Following compliance, many European public sector bodies have moved to e-invoice adoption and have begun a digital transformation journey to realise the full benefits promised by the directive. It is important to note that the Procurement team plays a vital role in all stages of an e-invoice implementation project and will hugely influence the take up and time frame for the project. Firstly, you need to examine the appropriateness of an e-invoicing policy for your organisation and review it in the context of your current business and ICT strategy. Next, determine the quantity of invoices and the number of suppliers involved and the ability of your current ERP system to handle e-invoices. How much does it actually cost your organisation to process invoices? The cost can range from €5 to €17 per invoice depending on your sector. Consider how many hours are lost manually entering data in your finance system, seeking payment approvals and chasing missing invoices. Having carried out an initial review, a business case should then be prepared. Closely examine the likely costs and benefits to the organisation and include a full description of the current paper-based process and identify current processes that can be either improved, outsourced or eliminated. Choose a pro-active project leader and cross-functional team to prepare a detailed project plan. The team should be made up of executives from Procurement, Finance, IT and Accounts Payable. The project plan should contain an analysis of the current business processes and environment. Based on this analysis an implementation plan can be outlined. Based on the analysis carried out on the company’s abilities and needs, a number of solution scenarios will evolve and whether to take a step-by-step or Big Bang approach to implementation. Awareness and buy-in by senior management is essential to reach the goals set up in the e-invoicing policy, together with one very active project owner and roll-out champion. Good internal and external communication to people affected is another critical factor for the project to succeed. It is also important to be realistic regarding the mid and long-term technical capabilities of the organisation, including workflow and archiving. Public Affairs Ireland host a range of courses designed for legal and Public Sector professionals. We are committed to keeping those with regulatory responsibilities up to date on legislative changes, so that they can effectively deliver their services to the Public. This month PAI hosted a variety of legal events which included …. As GDPR is now fully underway, it is more important than ever that everyone within the Public Sector has a strong understanding of what these regulations require. PAI’s three-day course in GDPR essentials introduces attendees to the core concepts, principles and key requirements of GDPR. We have decided to run our course over a three-day period to allow for a more interactive approach, providing time for group exercises, discussion of case studies and the development of practical skills. Do you need a deeper understanding of GDPR? Join PAI this November for our GDPR Advanced course. Policy Development is an essential Public Sector Skill. This course provided participants with knowledge in the areas of policy development, legislative drafting and legislative processing. Most importantly delegates gained skills to draw up effective and accessible legislation. PAI were delighted to host the first in our series of CPD compliance conferences on Friday 28 of September. This half day event took place at the Radisson Blu Royal Hotel, providing participants with the chance to network over coffee and lunch while also earning 3 CPD points in areas of direct relevance to Public Sector professionals. 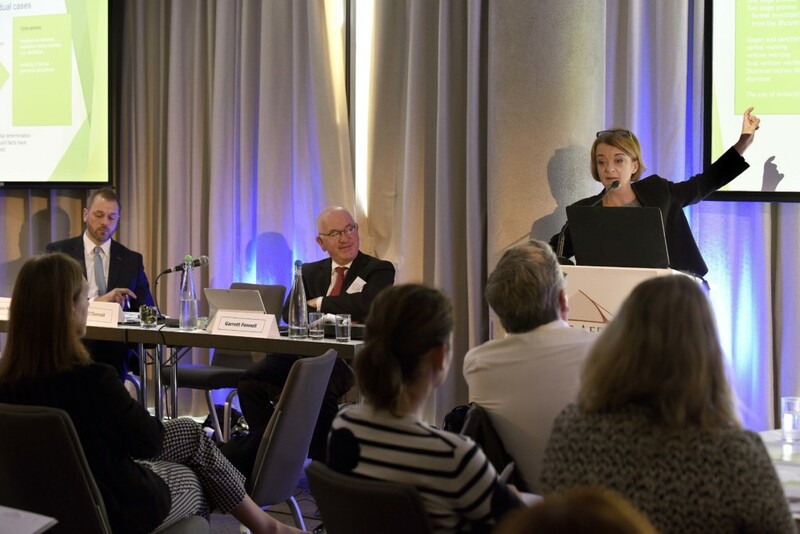 The event was chaired by PAI Director Garrett Fennell and speakers included Claire Hogan BL, Sile O'Donnell FCIPD and William Maher BL. The lecture topics included GDPR, managing HR investigations and Protected Disclosures, sparking engaging discussions during Q&A time. To follow on from this event, PAI will host the second in our series of CPD compliance conferences with a full day event taking place on Thursday 6 December. 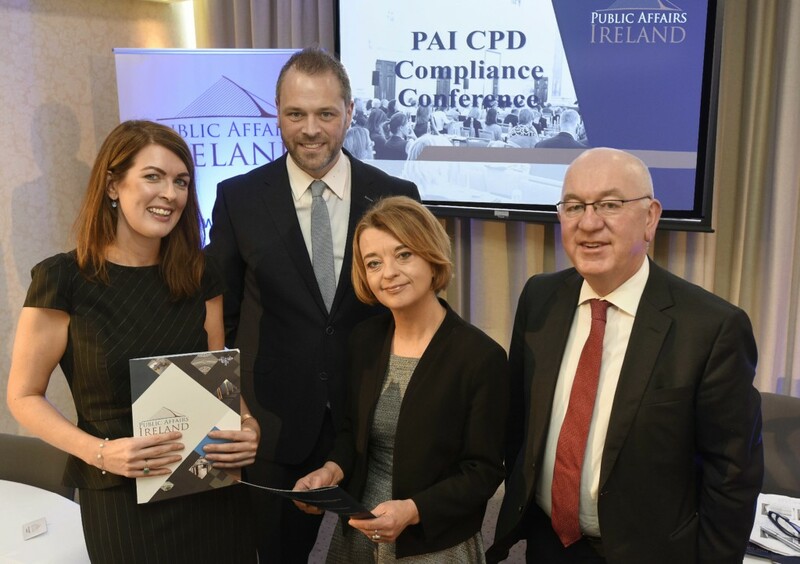 On Friday, 28 September 2018, Public Affairs Ireland hosted the first conference in our new series of CPD Compliance events. PAI welcomed delegates to the Radisson Blu Royal Hotel in Dublin 8, serving coffee and pastries on arrival. This series of compliance conferences have been specially tailored towards the continuous professional development needs of legal professionals, in particular those that hold a position within the Public Sector. While the conference topics were taken from a legal angle, the matters discussed were equally relevant for all Public Sector professionals. 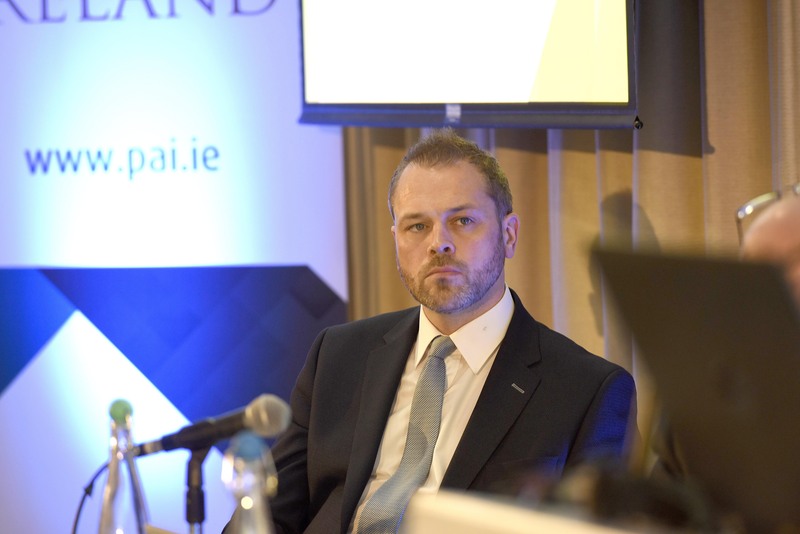 PAI’s Director, Garrett Fennell, chaired the event, opening the conference by informing delegates of the importance of continuous professional development while also detailing the relevancy and pertinence of the subject matters chosen for our introductory conference. PAI have designed our new CPD compliance series with the aim of providing legal professionals the opportunity to receive CPD hours that directly relate to their roles within their industry. Over the years, more and more emphasis has been placed on the necessity of continuous professional development within the legal profession. By ensuring that all legal professionals fulfil the mandatory allocation of CPD hours that are required of their role this allows them to effectively deliver their services to the Public. It is now compulsory that solicitors obtain 20 CPD hours per year so we have designed our September and December compliance conferences to give attendees 10 CPD hours in total, allowing professionals to meet half that requirement. 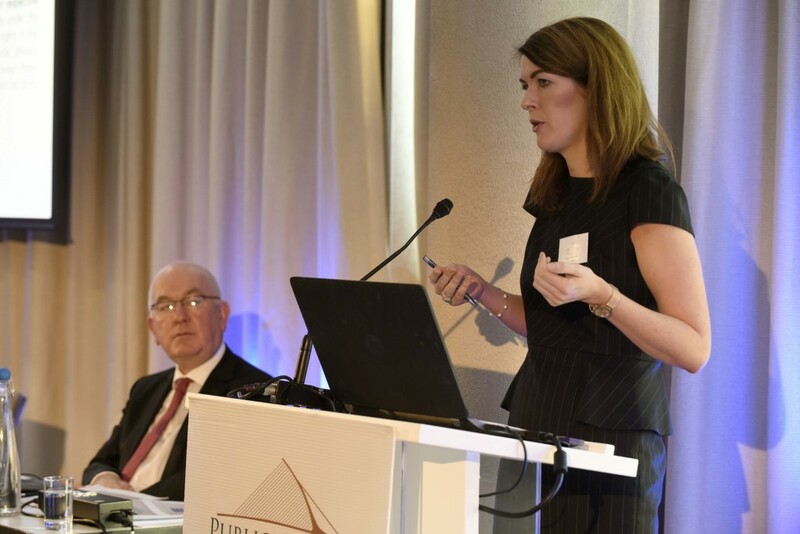 Claire Hogan BL, commenced the conference with a discussion on the General Data Protection Regulation, clarifying and examining what this new framework of regulations will entail for all professionals. While GDPR has already come into effect, it is still an important topic of interest among those working in Public Bodies. Claire’s informative lecture provided our attendees with a focused and specific outline on how to process data in a GDPR compliant manner. As our delegates by and large hold positions within Public Sector bodies, knowing the correct and lawful way to handle the Public’s personal data is highly important. Claire described how resulting from GDPR there are now two types of employees that are responsible for handling data: the data controller and the data processor. Both roles have different obligations yet are equally responsible when it comes to data protection. The data controller oversees all aspects of data compliance, even when this responsibility is also delegated to a data processor. The data processor acts only under the controller yet must claim full responsibility if they do not comply with the processor’s instructions. By laying out these clear distinctions, our attendees were able to review their data protection responsibilities within their organisations and know what is expected of their position. With the advent of GDPR, it is not only the new stricter methods of data protection that have become important, but also the revised grounds for penalisation and the core concepts which underpin this. While there has been increased monetary sanctions, perhaps one of the most significant changes of the regulations is that now it is legal to sue for non-material damage; that’s to say the pain and anxiety caused by a data breach. Overall, GDPR is rooted in the following core concepts; transparency, purpose limitation, data minimisation, accuracy, storage limitation, confidentiality and accountability. These core concepts are the fundamental regulations which will allow for a new era of increased data security and rights. Clearly GDPR is having an impact as merely two months after the introduction of these regulations 1,100 data breaches were received by the Data Protection Commission according to The Irish Times. Sile O’Donnell led the Management and Professional Development based discussion of our CPD Conference. Focusing on HR investigations and the role of mediation, Sile’s lecture provided the conference delegates with an excellent overview on these vitally important workplace issues. HR investigations are implemented in order to both research into workplace conflict and employee behaviour with the intention of coming to a complete understanding of the issues that are at hand. HR investigations can arise for a number of different reasons within the workplace. One key area in which there is a legal basis for pursuing an investigation is the area of dignity at work, of which harassment, sexual harassment and bullying are all offences. Lastly, while legal professionals play an important part in workplace mediation and investigations, Sile highlighted the importance of having heart to heart and face to face discussions with colleagues when problems and conflicts start to arise. William’s lecture provided a clear and definitive grounding on the subject of protected disclosures which included excellent case studies and contextual examples. PAI’s CPD conference provided our delegates with an overview of GDPR, managing HR investigations/mediation and Protected Disclosures delivered by our panel of experts in these fields. This course took place on Wednesday 12 September and was led by Sile O’Donnell. It provided Executive Officers with a chance to examine the requirements of their role within their organisation, focusing on people management and the delivery of results. While this course related directly to professionals at an EO level, PAI also run Core Skills courses for Public Servants at HEO and CO levels. Workplace wellness is a topic of discussion which is cropping up more and more. With a growing focus on the importance of work life balance and the negative effects of stress, this course, which was led by Liz Kearney, provided attendees with practical guidance on managing stress and conflict within the workplace. This course ensured that attendees walked away feeling well equipped with new techniques to prosper both professionally and personally. Do you want to hear more about our Well-Being courses? You can sign up to PAI's update list by emailing education@pai.ie. PAI's One-to-One Interview training sessions are run by Tina Kinirons, a business psychologist with experience training interviewees and interviewers in the Public Sector. This unique training experience provides participants with one on one attention for a one or two hour period. Participants gain the skills to handle anything and everything that can arise during the interview prep stage and during the actual interview. Most importantly participants get industry relevant advice, enabling them to take a new career path or move up the career ladder. While attending an interview is a daunting task, chairing an interview panel is an important role that should be taken seriously. This training session was also led by Tina Kinirons, providing our participants with the necessary skills to be effective and fair interviewers and find the best talent for their organisation. Due to increased demand PAI have scheduled another Interview Panel Training session, you can click here for more information on this event. PAI are dedicated to running courses which create more productive workplaces. To establish an efficient workforce a strategic HR Management plan is necessary. PAI's HR management courses provides HR professionals with important knowledge and new skills in the areas of updated HR policies, changes in employment law, planning, employee engagement and well being. At some stage in every professionals career, the need will arise to manage a project. Being a project manager is a great responsibility and an opportunity to take on a new challenge and push yourself professionally. PAI's project management course provides our attendees with new skills that help them to deliver their projects successfully ... and not forgetting to deliver the project on time! A commitment on the final page of the Programme for Government to – “... establish an easily accessible portal to provide details of all... public consultations” has now been met with the launching of the Public Consultations Portal. That portal is accessible on the website Gov.ie https://www.gov.ie/en/consultations/. Public consultations provide an important opportunity for the public to input directly into matters which affect them and their communities. Up to now there was no single mechanism by which individuals could access information on consultations in the public arena. This has now been rectified with the advent of the new portal. When the website is fully operational, people will be able to subscribe to the portal and get an email notification of new consultations. They will also be able to share details of a consultation by email and on social media. What are the latest Guidelines? The Department of Public Expenditure and Reform published new consultation guidelines in 2016 entitled ‘Consultation Principles & Guidance’ https://www.per.gov.ie/en/consultation-guidelines/ They update the 2005 guidelines, following a review of best practice in the field of consultation. They also have regard to the Open Government Partnership National Action Plan 2014-2016. In common with many other countries, the new guidelines adopt a principles-based approach to public consultation. The aim is to improve transparency, responsiveness and accessibility of consultations. The Guidance promotes three principles, which aim to improve the way the public sector consults, with an emphasis on real, meaningful, and targeted engagement. “...consultation with the public must be genuine, meaningful, timely, balanced and with the ultimate objective of leading to better outcomes and greater understanding by all involved of the benefits and consequences of proceeding with particular policy or legislation proposals...”. “... consultation should be targeted at and easily accessible to those with a clear interest in the policy in question...”. “...Government departments and agencies should make systematic efforts to ensure that interested and affected parties have the opportunity to take part in open consultations at all stages of the policy process on significant policy, services and legislative matters: development, implementation, evaluation, and review...”. The public needs to be vigilant when it comes to public consultation. They need to keep a close eye on what is being proposed and closing time/dates for submissions. There is no point in spending time responding to consultation if it is evident that the decision has already been taken. Neither is there any point in responding if there is evidence that those in charge are unlikely to be open to influence or change in their plans. It is important that participants in a consultation process are given clear guidance on what exactly they are being asked to comment on, and how their information will be considered. Every proposal going to public consultation should be explained in sufficient detail so that those being consulted can give meaningful responses. The effectiveness of any consultation process will be determined by the clarity of the description of what is being covered and the exactness of the guidance on how feedback and input will be considered by those undertaking the consultation. 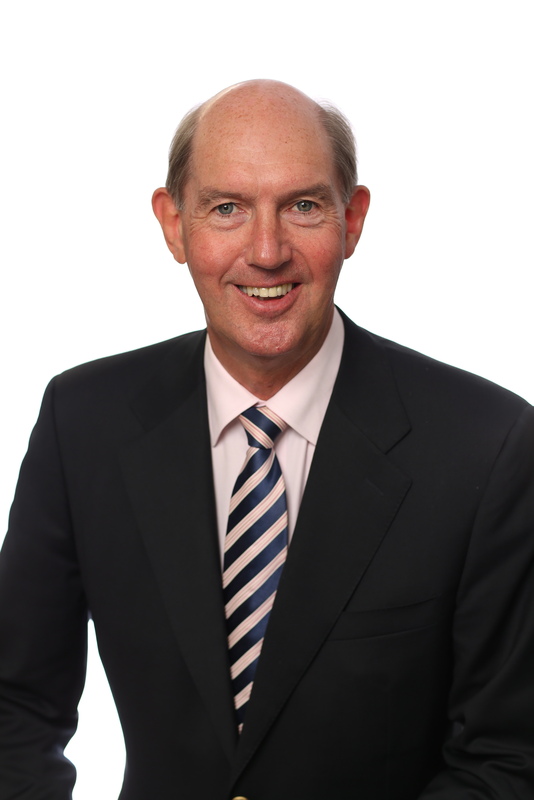 Tom Ferris is a Consultant Economist specialising in Better Regulation. 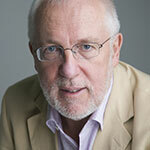 He lectures on a number of PAI courses and contributes blogs regularly to PAI. He was formerly the Senior Economist at the Department of Transport.